The blackberries came late this year and have only ripened recently, probably due to the chilly summer we’ve had. At any rate, I came home with 8 pounds of blackberries! I froze 3 pounds and proceeded to make up some jam with the rest. 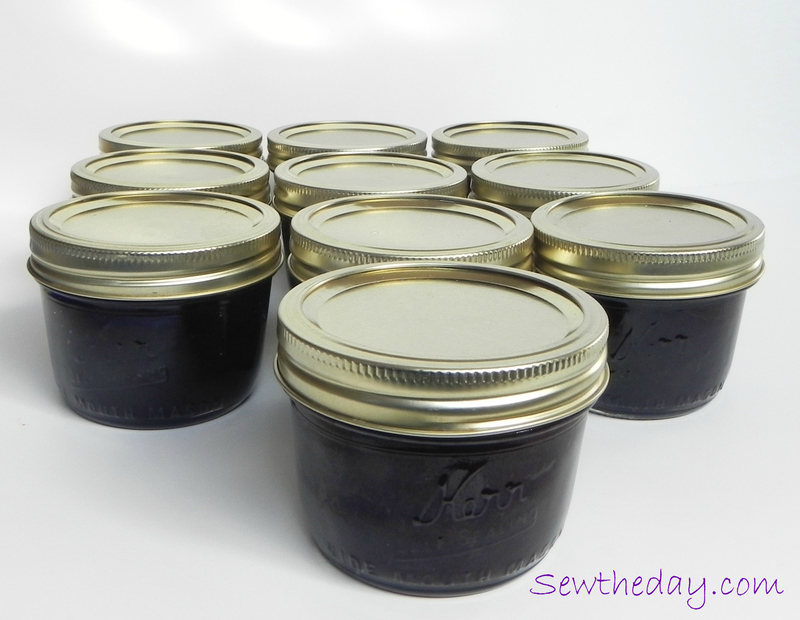 I followed the recipe at Coconut & Lime for Blackberry Vanilla Bean Jam, but had to change it up just a bit so that I could use what I had on hand. I didn’t have any Certo so I just used some regular boxed pectin instead. I ended up with 10 half pint jars. They took a good 24 hours to set up, but they did eventually set. I do like those wide mouth Kerr Jars. I’ll have to put them on my list to buy more! 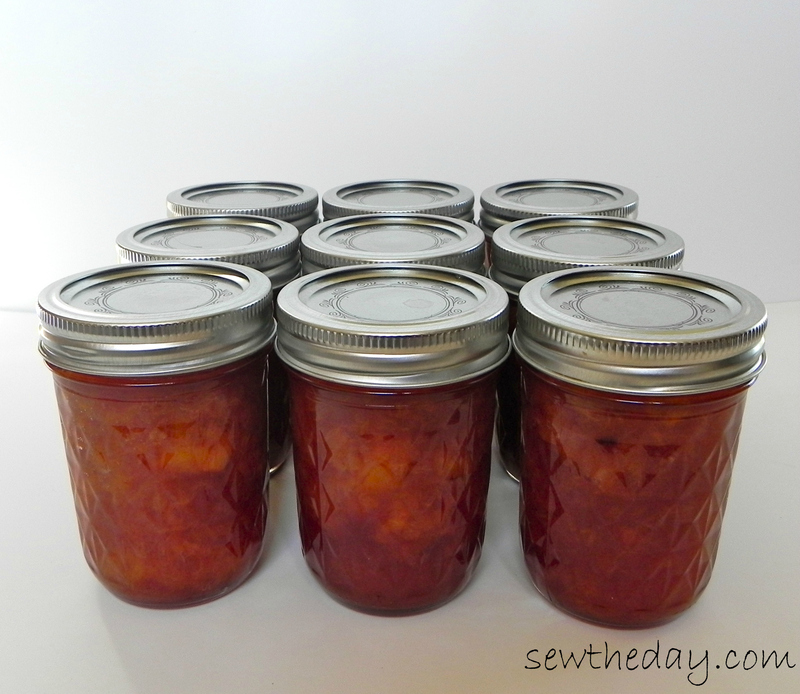 I made spiced peach jam with some of the peaches with cinnamon and nutmeg, based on SB Canning’s Peach Jam recipe. 9 half pints. The bulk of the peaches I simply canned in light syrup. There are few things finer than the brilliance of summer peaches in the middle of a gray Washington winter. The peaches had rosy flesh around the pit and it was that which made the syrup turn such a pretty color. Lastly, I made just a small batch of raspberry jam from some of our You-Pick raspberries from Picha Farms. This lone half pint was what was left over from a cake filling I made for my son’s birthday. Raspberries are his favorites. :) I used the Raspberry Jam recipe from SB Canning, minus the vanilla. 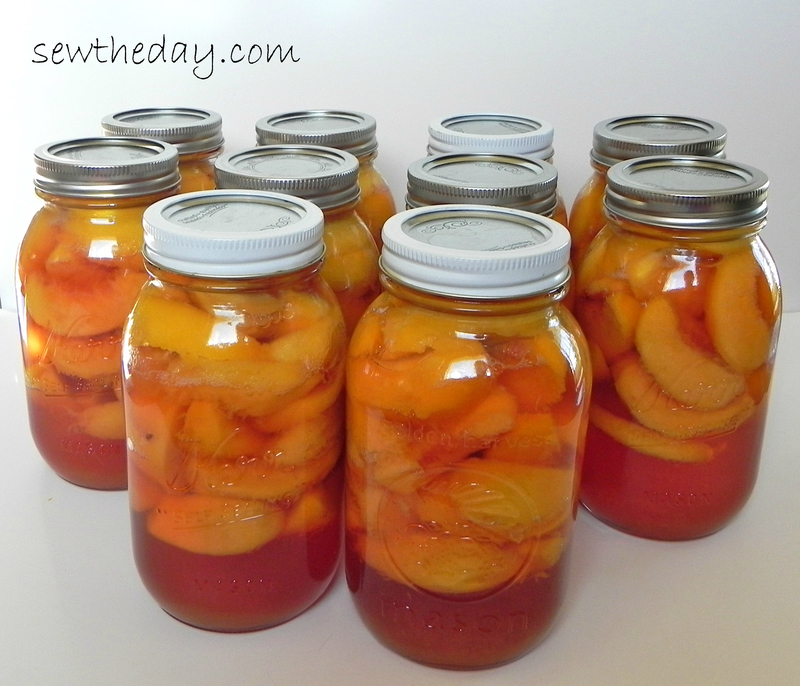 I have a bunch more peaches to get to and lots more jars to fill. I’m hoping to get to tomatoes in the coming weeks. This entry was posted in Uncategorized and tagged Canning, Cooking, fruit, preserving, summer. Bookmark the permalink. Mmm, they all look so yummy! I’m probably not going to be able to get much canning done this year, sadly. I’ll probably try to put up a couple of jars of jam, but I think I left it mostly too late to take advantage of really good fruit prices. Next year, though, I’ll remember to put aside a little more money and have a big canning spree, and put aside lots of fruit for the winter! 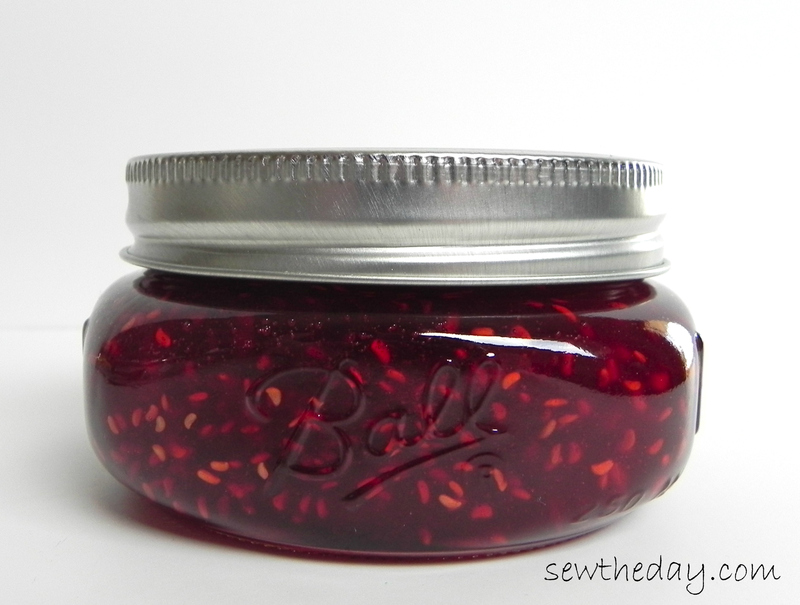 Last year I made a really delicious blackberry-raspberry jam that I want to try again, for one thing!